It’s everywhere. There is no way to escape it. It blares from our radios and televisions and slyly whispers through telephone hold music and elevators. It takes many forms and strikes when you least expect it. Our lives are indeed plagued by the spine-chilling strains of crap music. For something that makes up an unfortunately large percentage of our musical intake, not much is known about bad music. We know what we don’t like, but why? What is it about these aural assaults that make them so unpleasant? This article aims to prove that the reasons behind all this bad music are simply a question of authenticity. The Macquarie Dictionary (1981) defines authenticity as the quality of being authentic; genuineness; the quality of being genuine or not corrupted from the original. What does this mean in terms of music? Peter Kivy (1997) describes two types of musical authenticity: historical and personal. Historical authenticity mainly refers to performers interpreting the work of composers. Kivy mentions several points such as “faithfulness to the composer’s performance intentions, faithfulness to the performance practice of the composer’s time and faithfulness to the sound of a performance during the composer’s lifetime.” Authenticity is a very important aspect to consider when interpreting a composer’s work however this article will mainly be focussing on personal authenticity. Kivy describes personal authenticity as “faithfulness to the performer’s own self, not derivative or an aping of someone else.” How exactly does authenticity fit in with bad music? A lack of authenticity is the downfall of many a tune. Authenticity affects every aspect of a song, from its conception to its performance. This article will examine the role of authenticity in music, or more specifically, crap music. Sometimes it is very easy to tell what constitutes crap music. Other times however, the path is not so clear cut. What some people consider to be aurally offensive could someone else’s all-time favourite track. Bad music is often a question of taste based on each individual’s social and psychological conditions. As such, the aim of this article is not to assemble a hit lists of crap songs or albums but to investigate the common causes behind crap music. Naturally, the first point of call for this article is to determine what exactly bad music is. Simon Frith (2004) states that bad music seems to fall into two broad categories: incompetent music and self-indulgent music. Peter Kivy talks about failures in performance versus failures in sincerity. A performance can be technically perfect and still lack feeling and sincerity. On the other hand, as the boys above so aptly demonstrate, a performance can have all the sincerity and earnest emotion it wants but if it can’t back it up with at least some technical proficiency, crap music is usually the end result. The second category that crap music falls into is that of self-indulgent music. Kiss is a perfect example of this. Yes, we were all mildly bemused by the theatricality of the make-up and the stage personas but it is certainly a stretch to consider this a piece of soulful, authentic music. They certainly sing about heartfelt topics like love and God giving rock and roll to us, yet we don’t consider them authentic musicians. The fact that Kiss are so outright in asserting who they are, or at least who they pretend to be, is a contributing factor to this. Y. Taylor and H. Barker (2002) outline two kinds of honesty: earnestness and self-revelation. In stark contrast to the garish, over-the-top glam rock of Kiss, Nirvana’s iconic Unplugged performance is one of the most enduring examples of authentic music. Despite the fact that they are performing a cover of someone else’s song, the musical journey undertaken through this song is unquestionably one of self-revelation. The audience are invited and enticed to help the band, or perhaps just Kurt Cobain, find out who they really are. The raw emotion and pain in this performance brings more authenticity than any amount of make-up or sequins ever could. D. Hughes (1978) agrees stating that mass music is worthless because there is ‘nothing essential in the music itself which belongs to either real emotion or to an unmistakeable vitality’. However it does revert back to the age-old theory of supply and demand. If no-one bought crap music then there would be no benefit in making it. Are the record companies simply giving the people what they want? Has our musical taste been eroded to empty, meaningless tracks written purely to make money? It is certainly not the most positive outlook and is probably slightly exaggerated. Throughout the ages, as long as people have been making music, some people have been making crap music. It just makes us appreciate the good, authentic stuff even more. The fact that every Singstar and Guitar Hero can now publish themselves and their music on MySpace or YouTube certainly has done wonders for the amount of crap music available online. Hopefully, this means we will be appreciating the truly emotive, authentic songs a hell of a lot more. In conclusion, authenticity is by far the most important quality in a song if it is to be respected and liked. Bad music can be divided into two, occasionally overlapping, categories: incompetent and self-indulgent music. Both of these stem from questionable authenticity whether it be physical, musical proficiency or using music as a vessel for egocentric self-satisfaction. Authenticity also plays an intrinsic role in the reception of live bands. Overly-theatrical shows are seen to be fake and lacking in genuineness while truly emotive performances take audiences on a journey of self-revelation. There is no doubt in anyone’s mind that authenticity is what makes or breaks a good artist or band. Changing technology, the advent of MySpace and YouTube, are providing a blank canvas for bad musicians as well as good ones. It is up to the faithful and, hopefully, discerning listeners to hold authenticity of composition and performance as essential qualities, forcing higher standards in music. 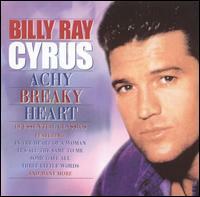 We definitely don’t want another Achy Breaky Heart. Washburne, C.J. and M. Derno. eds. 2004. Bad music: the music we love to hate. New York: Routledge. Barker, H. and Y. Taylor. 2002. Faking it: the quest for authenticity in popular music. London: Faber.